Many portable electric items like lamps and radios are supplied with a relatively short length of cable. Ensuring your home has sufficient socket-outlets at convenient points will minimise the need for extension leads and adapters, but occasionally their use will be unavoidable. - Cable damage due to wear, particularly where leads are walked over, flexed at a single point or stored badly. When leads are fitted to power tools, they can become tangled and one of the conductors may eventually fail, which could cause danger. - A greater capacity for overloading circuits, which increases the risk of fire. An extension lead should not be used whenever it is possible to reach a wall socket with the equipment cable. However, the equipment cable should never be stretched taut as this may cause a tripping hazard. • Only use an extension lead which was bought ready assembled. 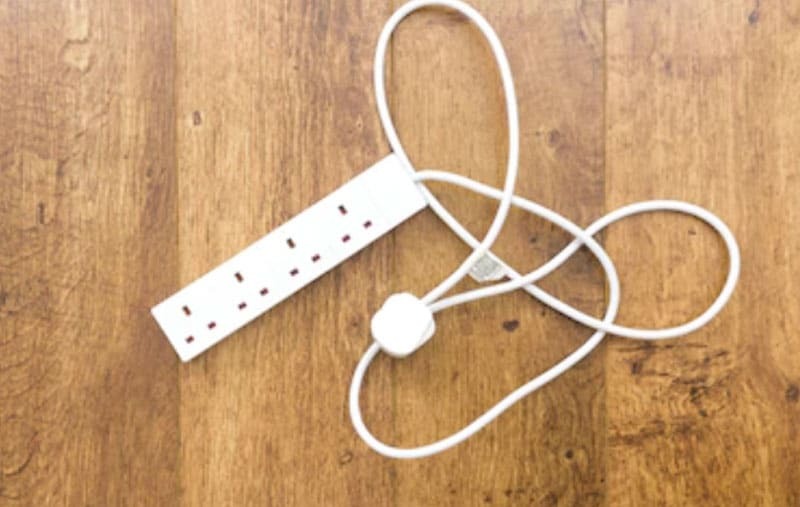 It is recommended that no extension lead be more than 15 metres in length• Only use extension leads fitted with suitably-insulated connectors and plugs. Never be tempted to join two lengths of flex by twisting the bared ends of wires together, even if you bind them with insulating tape• The extension lead should be positioned carefully to prevent any risk of damage to the cable• If the cable has to cross a pathway, the risk of tripping and damage can be minimised by covering it with a rubber protector strip• Always check that leads, plugs and sockets are undamaged• Always check that the extension lead plug contains a correctly-rated fuse for the equipment to be used• When a cable drum extension lead is in use, the cable must be completely unwound from the drum to avoid the cable overheating• Check that the cable has an earth wire if feeding Class I (metal-cored equipment). 2-core extension leads should not be useDamaged extension leads should be taken out of use and replaced. Leads cannot be repaired satisfactorily using insulating tape as it does not have sufficient strength or stickiness, nor does it provide enough physical protection. Multi-way adapters should not normally be used. If two appliances are regularly used from one power point, replace it with a double socket if possible. When an adapter is used with a number of plugs, the angle and weight of the assembly increases the stress on the socket contacts. There is also a danger of electrical overload as the combined loads may exceed the ratings of the socket-outlet. When circumstances require more connection points, a multi-way trailing socket with minimum cable length should be used, though care should be taken not to overload the unit.